Starting of this post made me realize that we are exactly a month away from Christmas. I need to get going on shopping for my wife’s presents. I’m running out of time. I can’t be like my students sometimes are and leave it all to the last minute. Well, I’ll do that after I share some links with you. Found some good ones again I think. Sabotage: Teach Debugging By Stealth I love this idea! There is a new Windows Phone 8 Programming book by Rob Miles @RobMiles available. The ebook with lots of demo code is free. Free is good! Getting the Most from Conferences Chris Stephenson from the CSTA writes about getting the most out of the annual CSTA conference. 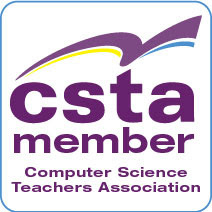 Changing the World One Step at a Time: Introducing CS in the Middle School is new on the CSTA blog. Beyond Teaching Computer Science is an article I wrote over the summer for a different web site. @AnthonySalcito explains to @BBCWorld, schools focus too much on buying tech and not thinking enough how to use it. Anthony is the WW VP of Education for Microsoft and he really “gets” education. It’s nice to have a exec from a tech company who focuses on the problems rather than selling answers in search of questions. 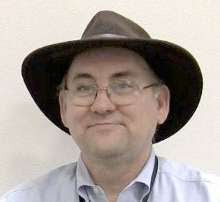 A set of top Computer Science Education blogs assembled by Dr. Tom Crick. I was already following most of these but a couple were new.